The Dalai Lama in 2014. Photo via Wikimedia Commons By Haitong Du It all started when UC San Diego invited the Dalai Lama as its commencement speaker. In response, Chinese students protested this decision. Many people might not understand why the Chinese students—stereotypically politically unaware and culturally inactive—suddenly have such a strong opinion about the Dalai Lama, a profound Buddhist symbol of peace and tolerance. Often, international students and their American classmates are unable to come to an intellectual common ground after accusing each other of being brainwashed or apathetic. Many American students value cultural relativity and actively stay away from criticizing any spiritual figures, especially from inscrutable Eastern religions. On the other hand, many Chinese students know of atrocities committed by the Tibetan regime, including the practice of slavery through 1959. To the surprise of many American students, their Chinese classmates do have a valid argument: the Dalai Lama’s character is tarnished. If the university really aimed to convey the message of “service to humanity,” the Dalai Lama’s problematic legacy in Tibet would be ill-suited to represent it. Most students in the U.S. don’t know about the controversy of the Dalai Lama or the complicated history between Chinese Communists and the Tibetan Kashag https://rush-essays.com regime. To some students, seeing the Dalai Lama at their commencement will be their first glimpse into Eastern religions or even Eastern philosophy in general. Other students acquire most of their knowledge about the Dalai Lama from western media sources, which often share very little information in common with Chinese sources. No matter which side people identify with, the school administration must realize that the Dalai Lama’s cultural and political identity is deceptively complex. Despite their effort to promote peace and tolerance during the current period of political turbulence, UC San Diego disregarded the opinion of many Chinese students with this invitation and sent an unintended message to its students: your Chinese classmates are brainwashed Communists. Then, by avoiding discussions about the Dalai Lama’s questionable human rights record, the university demonstrated a perfect example of how the general public continually suffers from selective long-term memory loss. Of course, this isn’t to say that all Chinese students share this opinion. In fact, the Dalai Lama is a divisive issue within the Chinese community. Regardless, many Chinese students—a significant portion of the international student population—will be made to feel uncomfortable on the last day of their school year. The school has not provided a platform in a professional manner for rational conversations. In fact, the Dalai Lama’s upcoming visit has sparked controversy. Some people argue that the Chinese could just leave America if they “don’t like the people America listens to.” After all, isn’t the Dalai Lama exactly the voice America needs to hear during this new age of populism? Reactions from the media to protests organized by Chinese students have been mostly negative. An article on The Atlantic’s website Quartz accused the Chinese Students and Scholars Association at UC San Diego of serving the Chinese government and promulgating Communist Party orthodoxy. These groundless accusations aren’t the only controversy. The overwhelming majority of the school saw nothing wrong with the Dalai Lama and have offered very few opportunities for Chinese students to share their insights on this issue. It is commendable that UC San Diego would like to promote “global responsibility,” but the selection of the Dalai Lama shows an absence of cultural sensitivity and historical understanding. American media has a generally positive view of the Dalai Lama, but if the university really wants to include the global community, they must look outside of American media to make an educated decision on whom to invite. After this commencement, many people will spend their time arguing and shutting down counter-arguments in pointless loops, because the keynote address at the commencement is meant to be discussed, not meaninglessly debated. 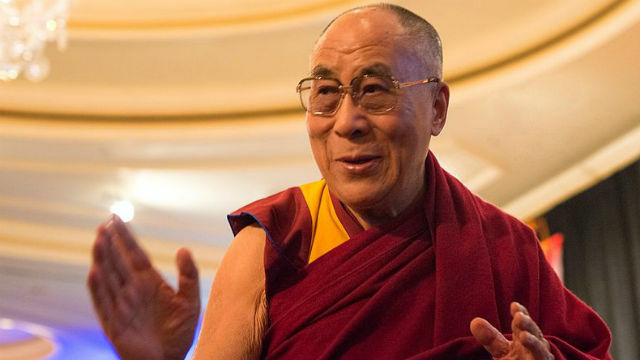 The Dalai Lama will certainly say some enlightening things this Saturday, but will also greatly disappoint and trouble many community members. Though protesters may not have best-managed the situation, the lack of any proper response by the school administration simply escalated matters. If UC San Diego wants to unite the global community on campus, they could find a better solution in a less-controversial keynote speaker or a professional setting for the exchange of thoughts. The university administration has provided neither and, as a result, the school will suffer.